First played in 2009, the Asia-Pacific Amateur Championship is organized by the Asia Pacific Golf Confederation in cooperation with The Masters Tournament and the R&A. The winner receives an invitation to The Masters, entry into International Final Qualifying for the Open Championship, and an invitation to the Asian Tour’s season ending Thailand Golf Championship. The runner-up also receives entry into the Open Championship final qualifying. Each of the 40 Asia-Pacific Golf Confederation organizations are allowed two positions in the tournament, which are filled by the highest-ranked players in the World Amateur Golf Rankings. Failing that, member organizations can nominate other players with a handicap of 5.4 or less. The rest of the field consists of the highest ranked players from the World Golf Amateur rankings. No organization may have more than six players in the field, with an exception for the host country, which is allowed an additional four players. 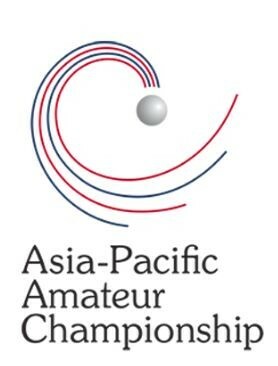 Under the calculations of the World Golf Amateur Rankings, the Asia-Pacific Amateur Championship is an elite event. Any player that makes the cut there is eligible for ranking. The other tournaments with this distinction are the U.S. Amateur, British Amateur, and European Amateur. In 2016, the winner was Australia’s Curtis Luck, who previously had won the 2016 US Amateur.